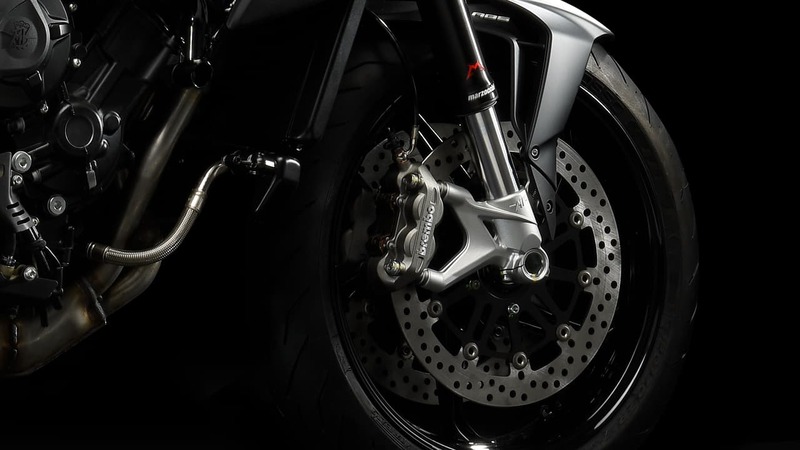 Road dynamics, distinctive design, quality components and leading edge technology: since its launch, thanks to the fascinating style and compact allure, the Brutale 800 has set a new standard for all mid-sized nakeds. Created by the very inventors of this segment, this bike was born for those who love the race track but want to feel the same emotions on the road. It has excellent weight/power balance thanks to its compact in-line three engine. Its breathtaking design is definitely another winning trait. The oval-shaped headlight and the three-pipe exhaust with enhanced shape and capacity to glorify the signature sound; the light alloy sub-frame, combining shape and function. 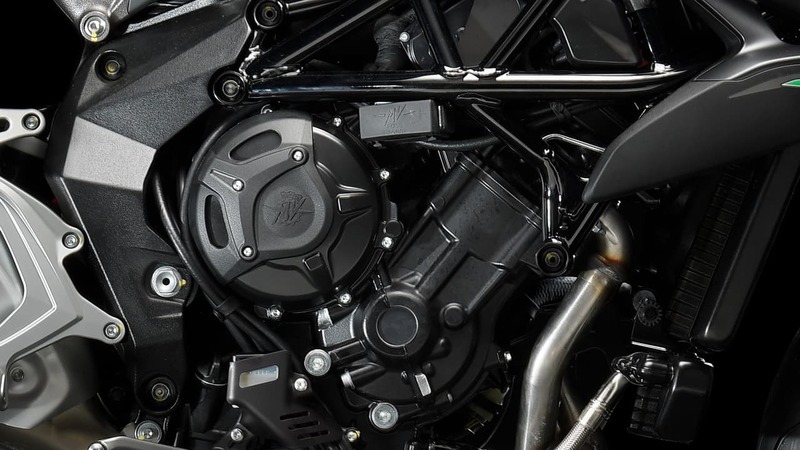 The diamond-shaped 16,5 litre tank, integrated in the air box: these are some of the many features that reveal the true character of the Brutale 800. 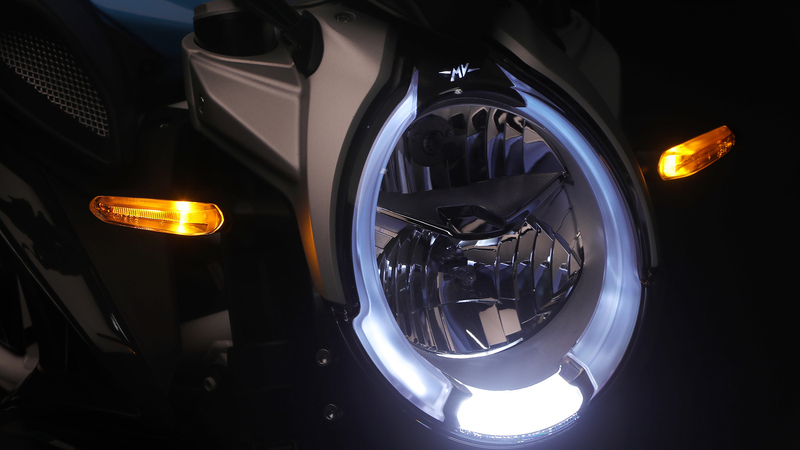 There are many functional details of note, such as the dual seat and the unique, concealed passenger handles as well as the LED indicators and aggressive looking lights. The dashboard is sporty yet complete, with high-tech, precision instruments. Balance, to us, means nothing less than unmatched riding pleasure, with maximum safety and control. 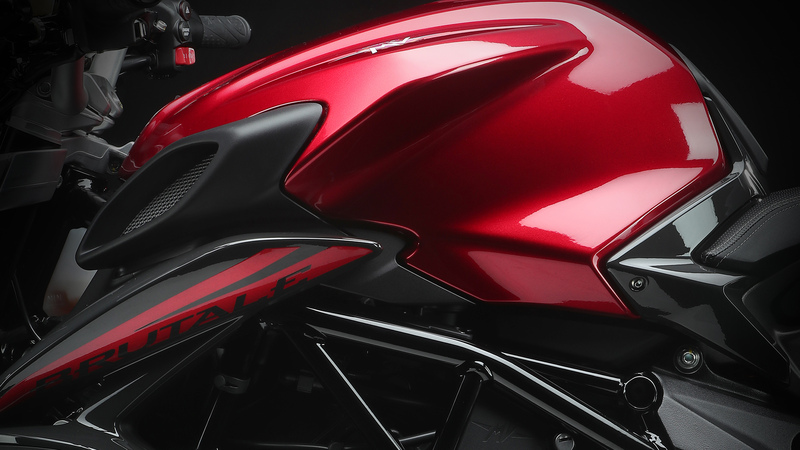 Brutale 800 delivers top performance in an easy, instinctive way for every rider. This is the essence of a bike born to perform and in which every single detail is aimed at this sole objective.